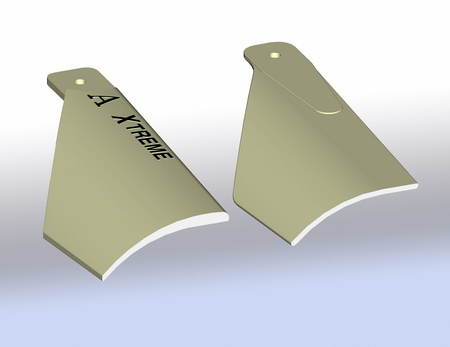 The Cross Section shape is different to the old blade, Xtreme Blades have a Airfoil Shape, and it will generate more upward force. 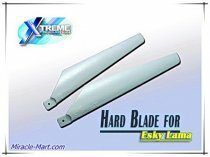 Since the upward force generated is larger, the Helicopter require less RPM( rotation per minute) to drive the blade, less current draw by motor thus you have longer flying time. 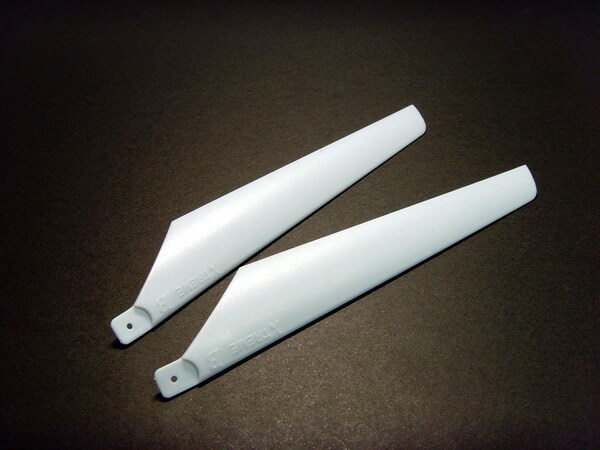 Also, vibration of helicopter is Less due to lower RPM is required, the helicopter will become more stable in flying. 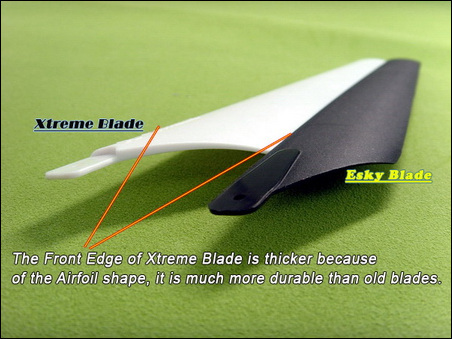 Because of the Airfoil shape of blade, the front edge of blade is thicker than the old blade. It is more durable and impact resists.